Rugby’s core values are Integrity, Passion, Solidarity, Discipline, and Respect. As a coach, I make a concerted effort to frame situations at training and in matches around these values. While I recognize and coach rugby’s core values, I actually focus more of my times on another value: honesty in coaching. Honesty is simpler than the rugby’s core values: it needs no explanation. And problem-solving based on honesty usually leads to quick and successful results. And the core values of integrity and respect are built upon the concept of honesty. While this may sound abstract I use honesty in practical ways to be a better coach. One important and frequent uses of honesty in coaching relates to starting rosters and positional play. Be honest and consistent with players about why they did or did not start, or why the are in a new position on the field. This will set a program-wide expectation of what it takes to be a “starter”. It also builds a culture that players need to learn many roles around the pitch. Giving clear, consistent reasons for selections will also give your players goals they can work towards. Following a players progression to these goals also makes it easy to address follow-up questions on the same topic. Once you’ve laid a foundation of honesty in selections, you will have a great platform to address grumblings and player performance on just about any subject. Of course, there are some player traits like size and speed that extend past the rugby pitch: no amount of coaching will change the height of a player. But being honest about a players advantages and disadvantages is important for maximizing an athlete’s potential and helping them with decision-making during a match. For example, if a player is a great tackler but is not so fast, address this head-on. Then, have the player work on defensive positioning to minimize any speed liability and give them the best opportunity to make the tackle. Of course, honesty in coaching extends from the players to the team as a whole. Setting clear expectations for attendance, dues/fees, uniform, and punctuality should be a standard for every coach. But sharing positive AND negative feedback is also part of team honesty. At my club, we make a point of discussing most individual player performance issues as a group. This ranges from tackling technique to decision making. As a result, our team experiences honesty together and first-hand. When framed as a problem to solve, feedback in a group setting takes the sting out of the problem and player egos become resilient. In addition, discussing an individual performance issue as a group makes it something the WHOLE TEAM needs to solve. During my first two seasons of using this approach, the players rally around a struggling player to help get them past the issue at hand. There may also be circumstances where you need to talk to parents to address personal, financial, or other issues not related to your rugby program. Honesty is of course always the best policy in these situations. And if you’ve built an honest relationship with parents related to the rugby program, these other situations will have a better chance of a smooth resolution. At the most basic level, honesty among the coaches is one way to ensure that everyone is on the same page. This includes training sessions, roster selections, strategy, weekly and seasonal goals, etc. But honesty is most important for coach retention. There is no faster way to alienate a coach than to be secretive, dishonest, or uncommunicative. Setting expectations among coaches is just as important as it is with players and parents. This applies to routine tasks like showing up on time to training sessions. But it also extends to larger issues like admitting your mistakes, voicing your honest opinion, and respecting any chain of command that exists in your coaching group. As an Assistant Coach, getting salty or resentful with the Head Coach when you disagree is a dishonest assessment about your role on the team. It also sets a poor example for the players. 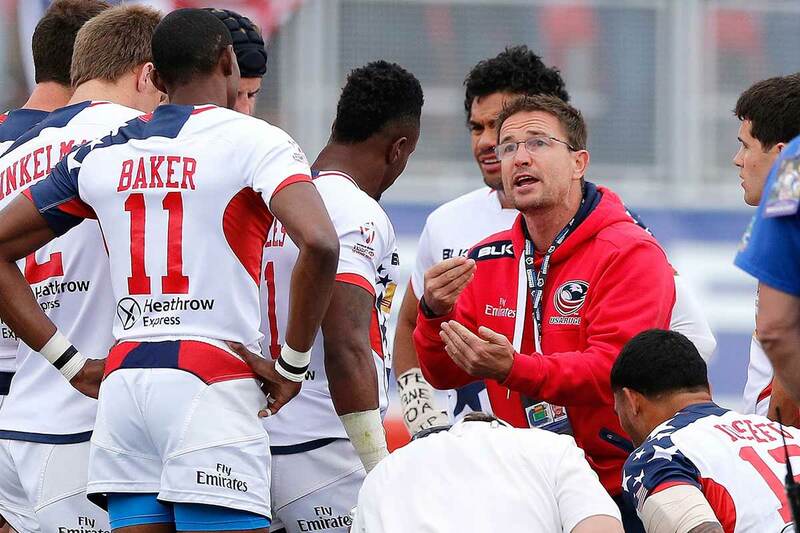 As a rugby coach, do you use honesty in coaching as a building block of your program? And what other principles are part of your core coaching philosophy? I’d love to hear your answers to these questions in the comments below. I would further emphasize your comments on giving “specific” feedback. We’ve had a lot of athletes leave other sports to join our rugby program because their coaches told them things like “you need to work harder,” as reasons they weren’t getting more playing time. That may be true, but feedback needs to come with specifics. “Work harder” could mean: take drills more seriously in practice or be quicker to set up on defense after a breakdown. Kids want to get more playing time; therefore, they want to get better, so it is critical for a coach to outline the pathway to more playing time. Giving them a goal/target to earn more playing time puts the onus on them to achieve that time and, in a way, removes “the coach” as a reason they aren’t starting. I also think we preach a lot about honesty as coaches, but I think we could do more to impress this responsibility on our players: honesty in reporting injuries, self-assessment of their own play, holding teammates accountable for misbehavior, and in their own commitment to the team. As coaches we may practice honesty as team leaders, but I know (at least when reviewing our team) our players need to do a better job of being honest with themselves and their teammates. It is something, as coaches, we have a burden to cultivate in our players if we are to have a healthy program. Not an easy task! You’re so right. Accountability goes a long way in addressing these issues!